If you run a website dedicated to a specific sport, then during the season it’s an extremely easy site to run. The content ideas practically write themselves. You can offer news, previews, recaps, results, tips etc – the sort of “autopilot” site that we all know and love. During the off-season however, things are different. The quantity of the content can dry up. This was something that previously I haven’t had issues with – I simply switched off for the season and then came back the next season with the usual regular content. However I’ve noticed over the past year that it hasn’t been as easy to re-establish rankings after letting the website gather dust for 6 months. It obviously depends on the niche you are in, how competitive it is, and also how your competition react to the off-season. However after looking at results for a few different major sports, I would highly recommend keeping your site relatively busy during the off-season. I just finished a brainstorming session with my business partner on our NHL Betting Tips website on a list of content to have written during the off-season. While there was a lot of NHL specific content, there was still enough generic content themes that should apply to practically any website – whether it’s football, soccer, F1, golf or even darts. General News: Sure, you won’t be replacing ESPN or the BBC, but the easiest content of all is to report what is happening during the off-season. Any transfer or trade rumours, retirements, coach or manager firings and so on. Betting Futures: For the main sports, even when the season is over online sportsbooks will offer betting on SOMETHING occuring in the future. As I write this for example, you can currently bet online on the 2014 Superbowl XLVIII winners, or the 2013 CFL Grey Cup. Both the NFL and CFL are in their off-season at the moment. You can offer analysis on that. Post-Season Analysis: An obvious one – but go back and look at the season that was. Analyze it from various different angles; look at how injuries affected a team, do some “what-if” scenarios, look at some of the highlights and some of the lows, get some videos going. Season Previews: You can write articles looking towards the new season, things to look out for, and general assumptions or observations on how a team or a specific player may perform in the upcoming season. Write about their schedule, any coaching changes and how that may affect the team etc. Team By Team Previews: I wanted to separate this from the above as this is content that I personally love. You go through each team in your league, and provide a detailed analysis on all of their players. One soccer website I visit daily does this – and every article has people sharing it and arguing and debating in the comments about how good, or how bad a player will actually be. 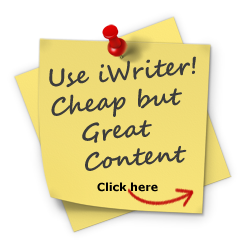 Top Lists: Always great content which is easy to write, and readers love. You can do both retrospective and prospective articles. For example, you could write an article on the Top 10 Goaltenders or Goalkeepers during the previous season, or an article on the Top 10 Draft Picks, or Top 10 New Players to look out for. Linkbait Articles: Commentaries on a specific situation that is occuring during the off-season, that would be ripe for debate, or a controversial opinion. For example as I write this, Tom Brady just signed a new contract with the Patriots. You could write an article about what a bad decision that is, and how they should release him and get in some fresh blood. Of course you can write straight-up commentaries too – but they’re not as fun! Draft Analysis: This one is more for the American sports, but of course you can provide an absolute TON of articles on the draft. If you’re a fan of the NFL or NHL etc then you know the deal already I’m sure – what rookies or draft picks will play, grading draft results. Of course you can still cover topics like transfers and trades as well and grade them, and talk about free agency as well. Interviews: Try and obtain some interviews with some of the participants in your sport. With the evolution of social marketing it’s a lot easier to obtain interviews or soundbytes from athletes. Contact lots of people – from the major athletes to rookies; from season ticket holders to the coaches. Hell, even contact people in the media like radio talk show hosts or sports TV show personalities. These people love the sound of their own voice, and will be glad for something to talk about during the off-season. This is also the type of content that can get picked up by bigger brand name sites, and get you a lot of solid, quality backlinks. Video Game Content: If the sport that you cover has a video game based on it, then there’s a lot of great content ideas from there. And I’m not just talking about your boring old video game news, previews or reviews – take it to the next level! Start running simulations on it, and do what if? scenarios. Like create Wayne Gretzky in NHL 13 and throw him in the Edmonton Oilers, and see how they would do with “The Great One” back in the team. Or if a big transfer occurs such as Van Persie going to Man Utd or Tebow going to the Jets then sim that on Fifa 13/Football Manager 2013 or Madden 2013. Videotape it, write about it, blog it, screenshot it, share it. You’d be amazed how many people get hooked on these types of simulations and will follow it on a regular basis. In summary, a lot of people may look at the off-season as a hinderance. However I like to look at it from a positive viewpoint. It’s a great opportunity to really expand your content base, try out some new things, strengthen your brand and social presence, and really work on building up an audience. This article was written on March 7, 2013 however all articles are looked at on a monthly basis and updated to keep them relevant.